Being voted best furniture store in El Dorado County is quite an honor! Thirteen years ago we saw a need here that we could fill with our business experience. We decided to bring Affordable Furniture USA to El Dorado County. We wanted to keep the dollars local and knew that people would appreciate not having to waste gas and time if they could find what they want right here at home. Since then we have offered over 50 manufacturers of home furnishings. If it's out there we can probably get it. 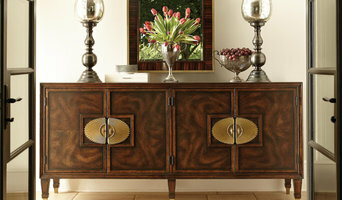 Affordable Furniture USA's philosophy is that shopping for items for your home should be enjoyable. At our store you are greeted with a smile by an experienced sales associate who will find you that perfect piece you've been looking for. Our showroom is full of unique styles and colors you won't see at the big box retailers. Our selection ranges from smaller pieces for seniors, to lodge pole pine for that cabin feel. You can go anywhere and see "average" furniture. People come to our store to solve their decorating dilemmas and to experience unique and interesting pieces that they won't see other places. Is price important? Of course it is. We are not named affordable for nothing. Combine that with brand names you trust like Best Home Furnishings, Broyhill, Flexsteel, Lane, Ashley, Serta, and Tempur-Pedic, just to name a few. And you have peace of mind. There are still some stores that give you a good feeling. We do our best to be that kind of store. Thank you El Dorado County for your support and repeat business. We look forward to continuing to serve the needs of our community. For more than 25 years, Techline Studio has specialized in fitted furniture solutions for homes and workplaces in the Greater Sacramento area. Our experienced designers work with you from concept through installation to furnish a space that suits your unique needs, space and budget. We offer Murphy wallbeds, home office furniture, cabinets for storage, display, entertainment, art and craft studios and much more. Our installers are factory-trained professionals and have a reputation for excellent customer service. Our Story Leslie and Bill Bisharat, opened Techline Studio in 1990, bringing with us many years of experience designing and building custom homes. From day one, we’ve used our technical and creative expertise as a foundation for lasting, design-focused solutions Most of our business is repeat and referral, evidence of our commitment to customer satisfaction. Our Mission To provide individually-designed, high-quality furniture solutions that improve organization, productivity, comfort and aesthetics in homes and businesses. 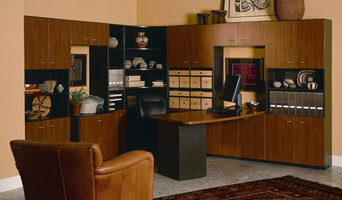 Our Furniture and Cabinetry Manufactured in Wisconsin our furniture and cabinetry is famous for its lasting value. Equally famous is our expertise in solving space and organization problems. We offer hundreds of different standard and custom components for every room in more than 20 finishes. Our furniture and cabinetry can be relocated and reconfigured as needs and spaces change. Fixed and height-adjustable desktops and counters can be any size and shape. Want to see the difference for yourself? Visit our website: www.techlinesacramento or call us today! Sherrie Swass Interiors, founded in 1983, is a full service interior design firm. We listen to your needs, desires, and budget constraints and help you create environments designed specifically for your unique personality, while avoiding costly mistakes. The attention to detail is the basis to providing service to our clients, including furniture, paint, flooring, window coverings and decorating accessories. Our clients especially like our 2-Hour Interior Design Consultation that helps them visualize the end results. McCreery's is the premeire furniture store in Sacramento! Serving the Sacramento area since 1955 we offer our clients the finest Sacramento furniture and the best prices. An outdoor space is an extension your home. Creating a usable patio or outdoor room can increase your home's living and entertaining space. I provide clients with space planning and outdoor decorating. Even if you are starting with dirt, having a good plan is the key to a successful project. I work with several reputable landscape and hardscape contractors who build beautiful spaces. I assist clients in color and material selection. Once the space is completed, I help clients find the perfect furnishings to finish their space. How do you feel when you walk through your door? Are you happy and relieved to be in your favorite space? What does your space say about you to a guest entering for the first time? There is no second chance at a first impression. Let LeSanné assist you in creating your own self expression . Having traveled the world gathering inspiration, artworks and objet d' art, her design sensibility includes a timeless mix of traditional, contemporary and new modern pieces to create unique and dynamic spaces. Buckets of Stone LLC is a fabrication shop in Sacramento, CA that specializes in concrete, furniture production, and architectural elements. We build for the contractor, the designer, the homeowner---but most importantly, the individual. Furnitalia is Sacramento's leading Contemporary & Modern showroom and design center with a primary focus in Italian and Norwegian furniture and German kitchens. We specialize in quality product that will make your home a place you will want to be for years to come. We are more than sales people; we are furniture specialists. Shopping with us will not only get you great furniture but a team of experts on staff to help bring your vision to reality. In addition to this, we are the largest Natuzzi showroom in the United States with more than 100 furniture groups on display including various sofas, sectionals, performance recliners, bedroom sets, dining sets and more. We also work with other leading Contemporary brands including Alf Italia, Bontempi, Calligaris, Catellan Italia, Slamp, Ekornes and Mobican to provide furniture, lighting and decor for your entire home. Our showroom has beautiful Bauformat kitchens on display as well complete with state-of-the-art Miele appliances. We are experts in comfort and quality leather offering many lines of made-to-order furniture with the flexibility to meet your needs. When you visit our showroom you will see why we are unlike any other furniture store in the Sacramento area. One of a kind, all-natural cutting boards, skate boards, and reclaimed furniture. 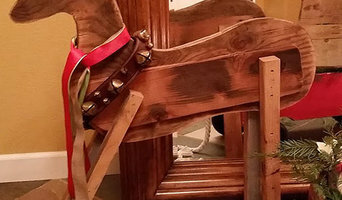 At Iron Plank Designs we use repurposed pipe and reclaimed wood to create one of a kind hand crafted furniture. Having spent 16 years as an industrial pipe fitter I pull inspiration from the mid century industrial construction styles and combine it with my pipe fitting abilities to creat truly unique furniture pieces. We take great pride in knowing our furniture is all hand woven and have several colors to choose from. Our collections range from modern to contemporary. We take great pride in our lowest prices and awesome quality! What should you know about a Furniture and Accessories Manufacturer? Start your research right here on Houzz. Read through professionals’ profile pages to find out important details, like how long a manufacturer has been in business. Look at reviews by design professionals and find out which furniture makers offer the best customer service. Are you looking for condo-size furnishings or working with an oddly shaped room? Necessity is the mother of invention, so opt for a custom piece made by an experienced California furniture maker. Here are some related professionals and vendors to complement the work of furniture & accessories: Interior Designers & Decorators, Artists & Artisans, Kids & Nursery, Closet Designers and Professional Organizers, Bedding & Bath. Take your time on any buying decisions. If contemporary is your style, don’t buy something traditional because it’s on sale. Many California home furnishers offer interior design consultations or room planning guides to get you started. Whether you decide to work with a home decor specialist or to become your own expert, it’s important not to rush the furniture-buying process. Visit plenty of El Dorado Hills, CA showrooms and stores so you can feel comfortable with your purchase. Have fun creating spaces that reflect your personality and style preferences. The main factor in dressing up any room is the furniture, while accessories like decorative wall shelves and lighting are like a room’s jewelry. Whatever your style, surround yourself with accessories and products that you’ll enjoy. What if you aren’t ready to splurge on new furniture? Some new artwork or a new area rug can go a long way toward updating a room. When it comes to freshening things up, don’t rule out small home accessory items, like a new table lamp or wall clock. What is the room used for and how large is the space? What are my must-have furniture items? Am I looking for heirloom-quality home furnishings or collection pieces? Do I need custom-made items? Find furniture and accessories manufacturers, showrooms and retailers on Houzz. 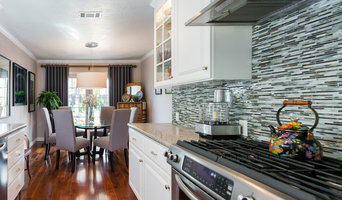 Narrow your search in the Professionals section of the website to El Dorado Hills, CA furniture and accessories, then choose the nearest metro area for showrooms and retailers. Or you may want to look through California photos to find designs you like and contact the furniture manufacturers and showroom galleries directly.